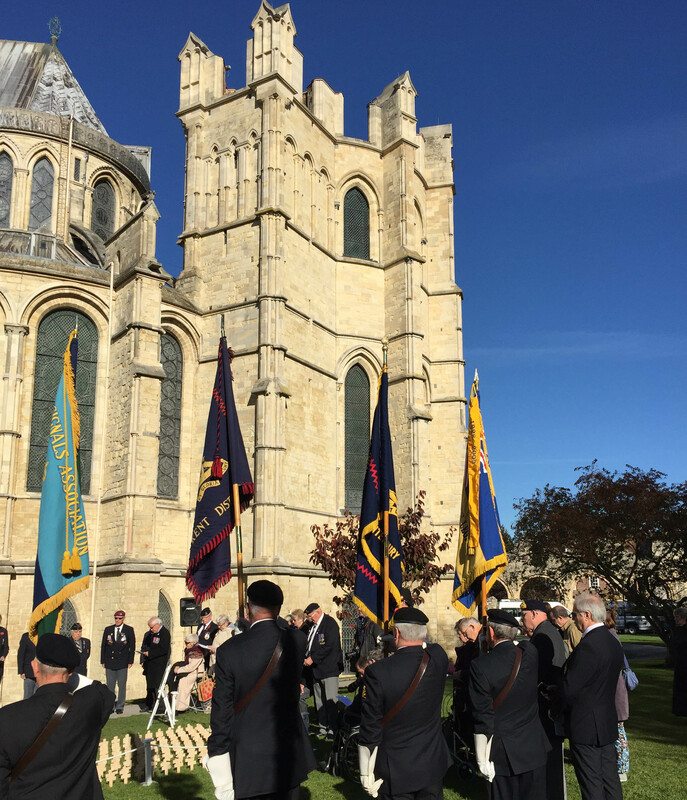 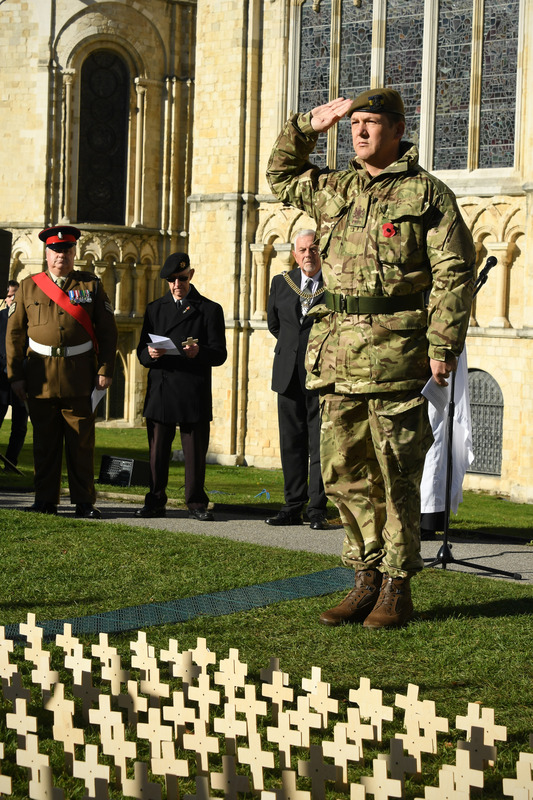 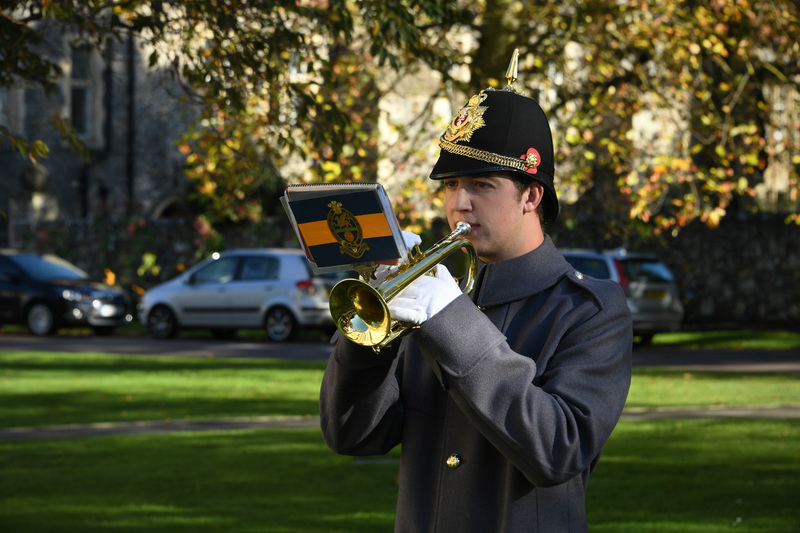 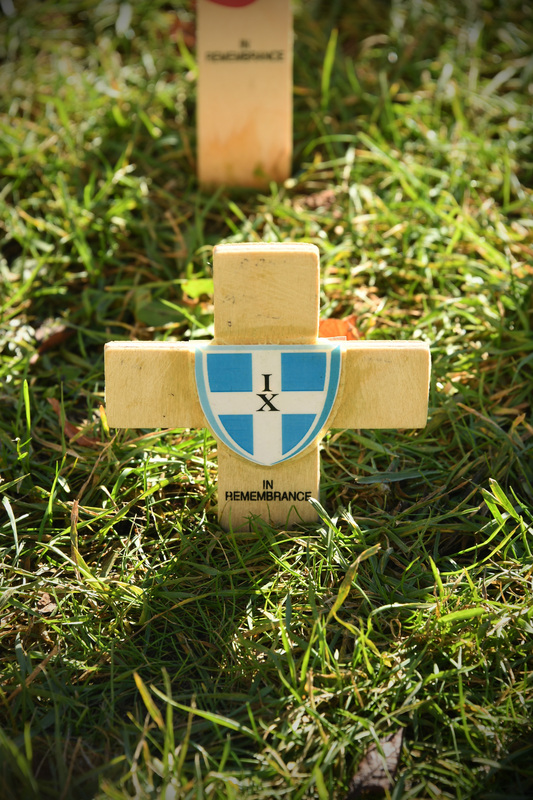 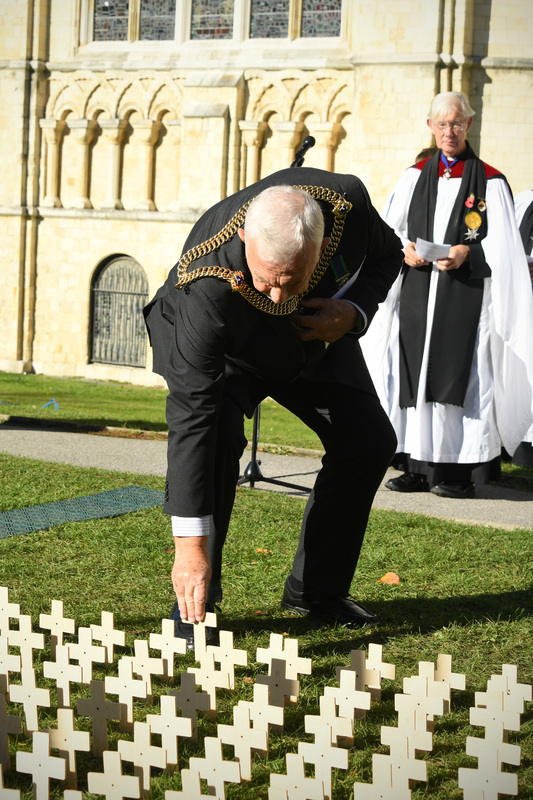 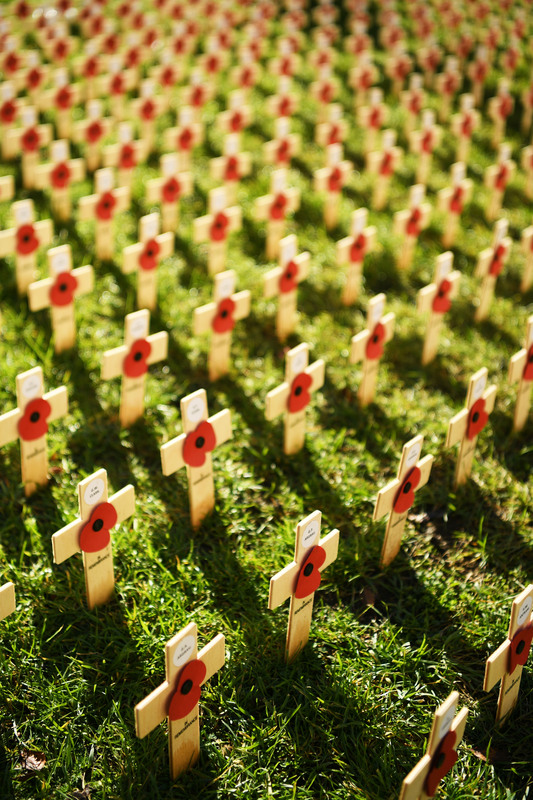 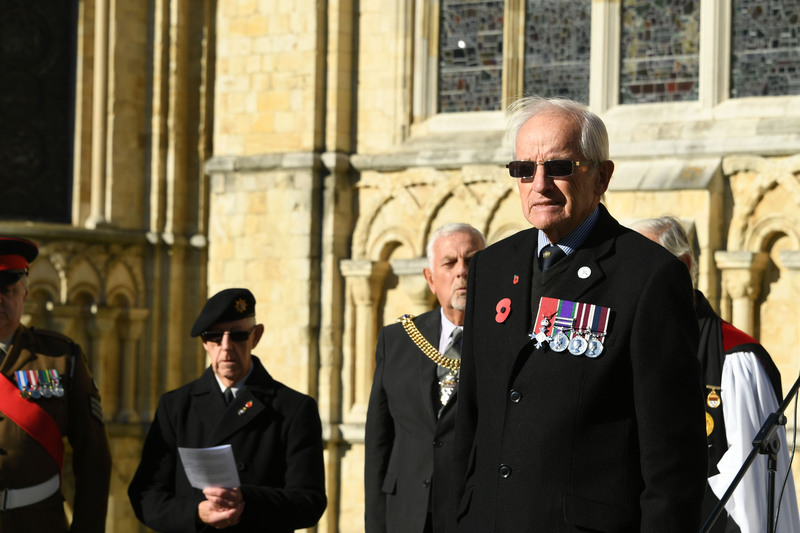 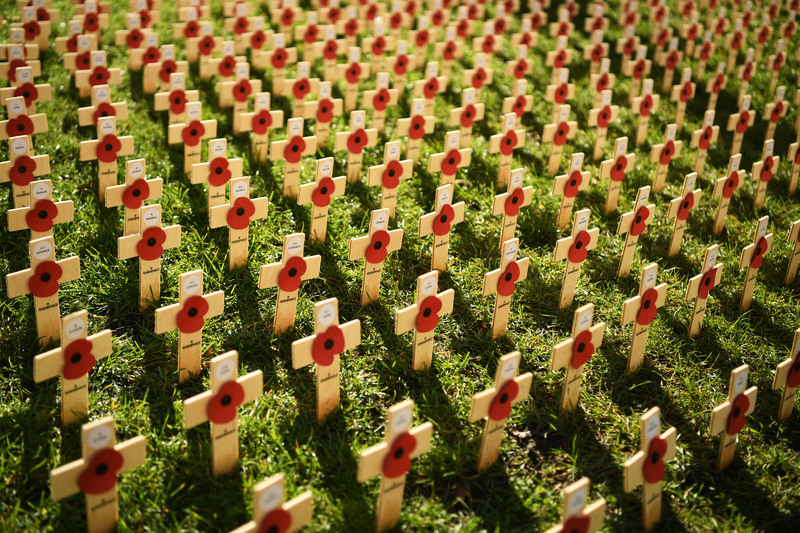 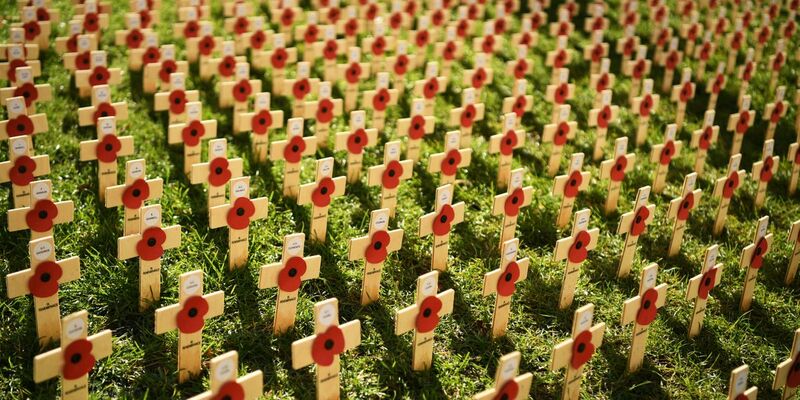 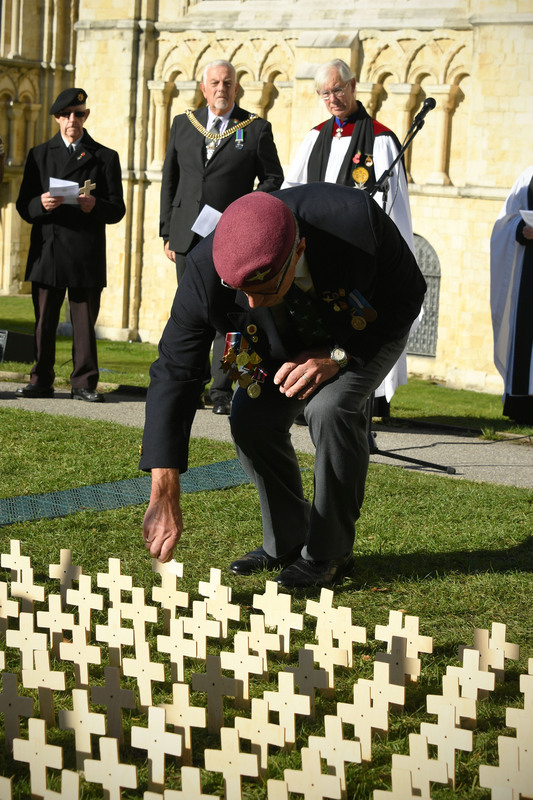 A field of remembrance containing more than 500 miniature crosses bearing the names of those from the Canterbury area who died in the First World War was dedicated at the Cathedral today (Friday 2 November 2018). 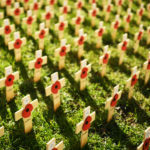 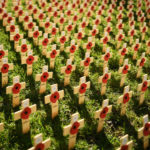 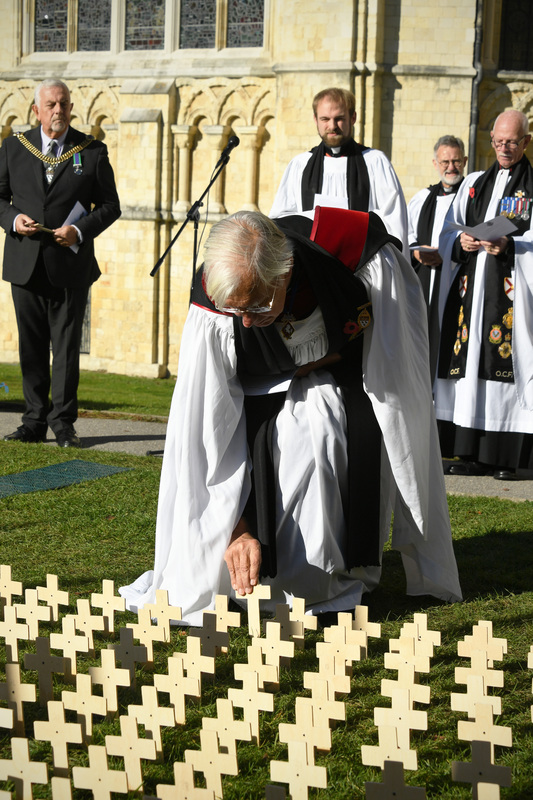 The 531 crosses, inscribed with the names of those on the war memorial in the Buttermarket outside the Cathedral’s Christ Church Gate, had been carefully placed in the ground at the east end by members of the Royal British Legion earlier in the week. 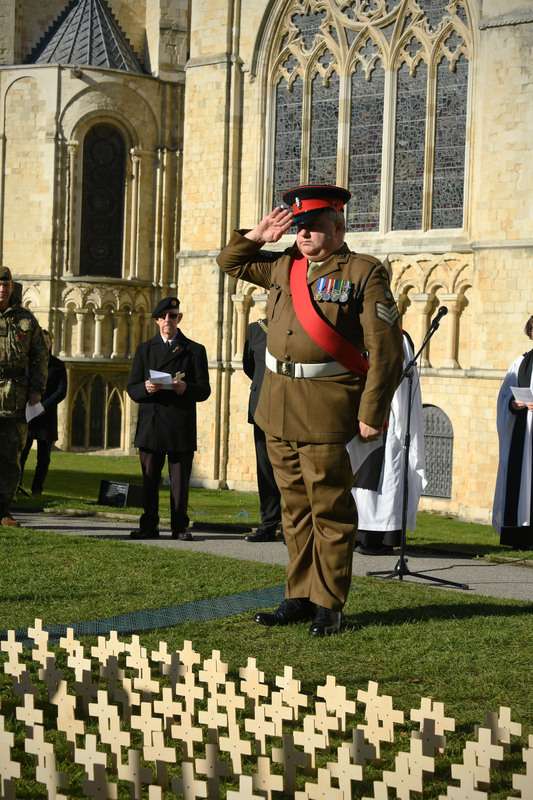 Under the watchful eye of the wooden war horse, built by staff and students at Canterbury College, members of the local community, Cathedral staff and retired and serving members of the armed forces gathered at the dedication conducted by the chaplain to the Canterbury branch of the Royal British Legion, Revd Canon Paul Kerr. 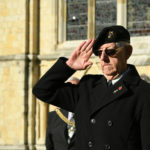 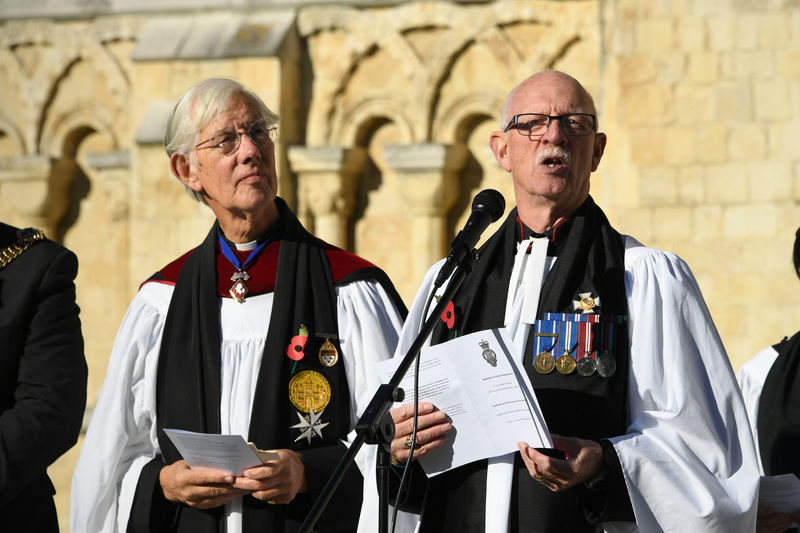 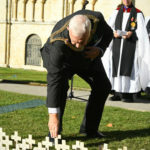 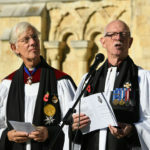 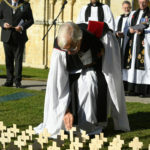 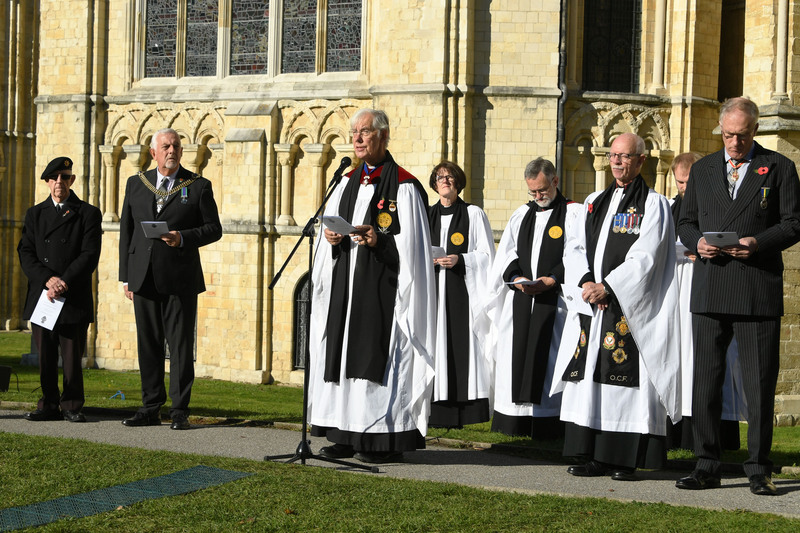 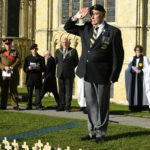 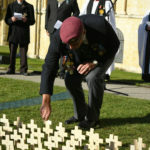 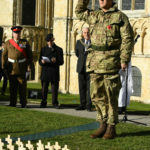 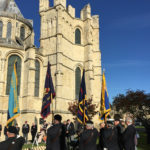 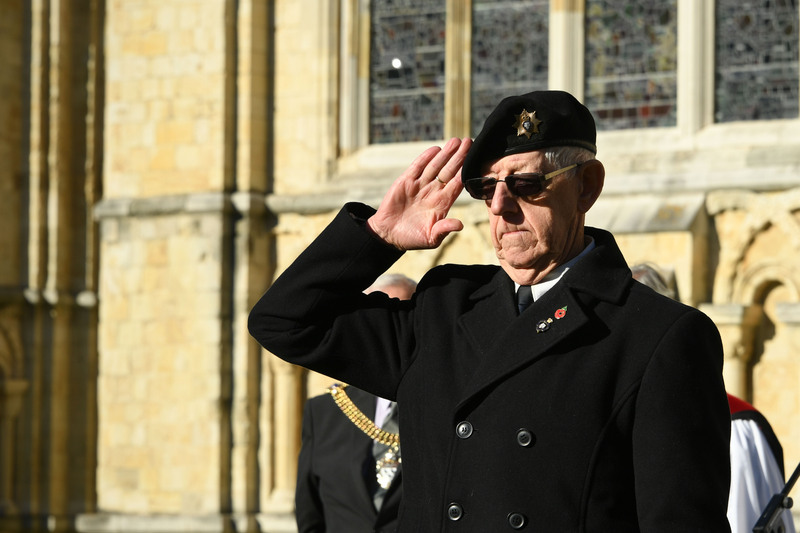 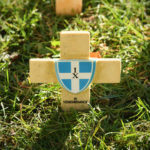 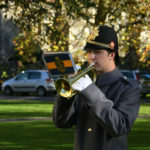 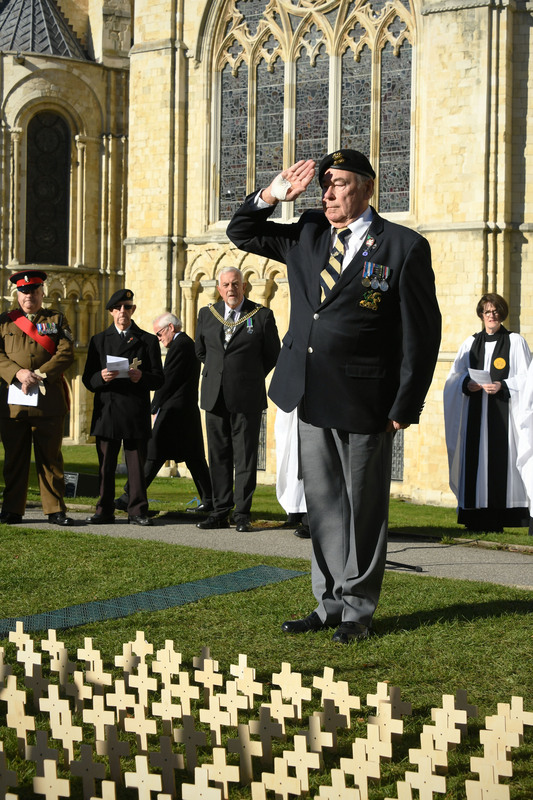 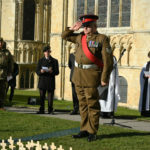 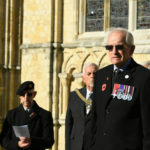 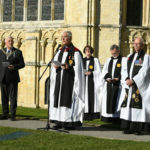 After dedicating the field, the Dean of Canterbury, the Very Revd Robert Willis then planted a cross on behalf of Chapter and the Cathedral community; followed by the Lord Mayor of Canterbury, Councillor Colin Spooner, members of the Royal British Legion and other representatives.